You are a very curious person, and your mental restlessness can attract a colorful life. Even if you don’t move around physically or travel, you are always looking for new adventures of the mind. You are friendly, likable, and you need mental stimulation. Others tend to love your personal “take” on things, and they do enjoy your company. You may need to develop follow-through. You are attracted to unusual people and those who might bring a certain level of intensity or drama into your life. Famous people born today: Woody Harrelson, Slash, Daniel Radcliffe, Philip Seymour Hoffman, Paul Wesley, Charisma Carpenter. Even so, Uranus continues to transit square to your Sun until March 2019 (since May 2018). With this aspect, you might experiment with a new look or manner, or simply come off in an entirely new way as you feel your life speeding up. You are not dwelling on the past, and instead, you are interested most in what the future might bring. In the process, you could resent others if they seem to be telling you what to do or think, and you are not especially receptive to good advice. There may be some confrontation with friends, a boss, or a partner that prompts a breaking of ties. It’s possible that you need to move on, but do take the time to make decisions wisely. You might be tempted to throw out practical or traditional considerations for more exciting or stimulating plans. Unexpected changes in plans or events are likely. Although they might be unsettling at times, they could stimulate you to try new approaches, and they certainly act to cut boredom. Your creativity is stimulated this year, and so are your excitability and your need for freedom. It is easier than ever to express your individuality in a manner that is true to you. You are likely to be more outspoken than usual, perhaps even rebellious, until January, after which life settles down considerably. In certain areas of your life, you’re inclined to rock the boat this year so that you can break free from a limiting situation. Be mindful when/if making sweeping changes. There can be increased joy in or from your social life. Mercury turns retrograde today at 23 degrees Leo. The planet of media, travel, communications and languages is backtracking until 19th August. There’ll be more slow-downs and snarl-ups to negotiate during 2018’s summer holidays. Do leave extra time for travel, check everything twice, and – as always – take care of your cards and cash, especially when using online services. At this point, Mercury, Mars, Saturn, Neptune and Pluto are all retrograde. In August, once Uranus turns back on the 7th, there will be six planets out of the classical ten used in traditional astrology travelling in retrograde motion. Most of us will feel this slow down, and experience a few blasts from the past. The big cosmic message for this phase is – try not rush, and aim to deal with – or park – any frustrations before they erupt into messy tantrums. Looking back over the year, or your ongoing dreams and projects, will be fulfilling and productive in the end. Slowing down can be a beautiful, life-affirming thing to do. It allows us to be in the moment, to notice precious, fleeting details, to connect with the source of life, love, and creativity – and each other. This big retrograde season has a purpose beyond being annoying – ‘busyness’ doesn’t always bring happiness, or the results we’re aiming for. Between Friday 27th and Tuesday 31st July the mighty Red Planet, Mars, is at its closest approach to Earth until 2020. It’s visible in the night sky, all night long. Veteran astrologer Richard Nolle calls this close approach Mars Max – a time when Mars is just, well, more Martian. Mars has been drawing ever closer to us here on Earth this spring and early summer. Once it reaches its closest approach, it gradually begins to fade in our skies as it moves away. However, Mars doesn’t leave the battlefield swiftly and we can expect this edgy phase to resonate on into September. Meanwhile, as the July temperature rises – literally or metaphorically – Mars could noticeably impact on your own horoscope if you have planets in the fixed signs of Taurus, Leo, Scorpio and Aquarius at around 4 degrees. There’s high, hot energy – it’s punchy. There’s more about Mars retrograde in the Cosmic Weather for June. Basically, it can be a terrible time to confront others, but a positive time to review your actions or projects. We’ll all be more aware of the energy of Mars this summer, and many people will be inclined to act on impulse, or be on a rather short fuse. Mars in Aquarius, and late Capricorn, squares Uranus in Taurus 24th July – 25th September – do take it easy everyone. And then, to round off the month, there’s this little firecracker….. The Blood Moon of July’s total lunar eclipse in Aquarius is widely visible, weather permitting. We can watch it in Australia, Asia, Africa, Europe and South America. Totality is a whopping 103 minutes. The whole show, from the first shadowy ‘bite’ out of the Moon’s silver disc, goes on much longer. This eclipse will have a real, lasting impact on our collective emotions. It is volatile, for it’s aligned with warrior Mars. The eclipse and its themes are re-energised towards the end of September, when Mars returns to this degree of Aquarius, a degree that is now super-sensitive. Aquarian themes illuminated by this energetic eclipse include technology, electricity, humanitarian organisations and groups, inventive epiphanies, rebellions and upheavals. There may be spectacular electrical storms or outages. People could be in the mood to call a strike or join a mass protest. This energy expands your relationships, personal or professional, allowing you to gain traction in expressing the Highest vibration of this Union possible. In personal relationships, things are sociable, light & fun. In professional or public relationships, things can go more smoothly as folks are more relaxed and easy-going, upbeat and open to exchanging ideas & concepts. This energy activates our innate optimism and natural positive thinking, so it is a good time to look into expanding your knowledge base in some way that makes you more valuable to the team. You’ll have the connection to your instincts and confidence with others that is a winning combination! Beware of delusions of grandeur where your relationships (old and new) and/or your finances are concerned. Basically, you should keep your true priorities in mind and you will be fine, but if you are deluded to any extent, it may be revealed at this time. It is time to balance what is truly important to you in you interactions with others and the vision for the long-term goal. You can have an ideal romantic experience with this energy, but remember true love takes hard work & dedication, while romance tends to come and go. This energy tends to make you give and give and give in a relationship thinking that will inspire the other to respond in kind, and ultimately you end up empty-handed because your motives weren’t correct, you were doing it with expectation (consciously or not), which almost always will let you down. Giving with any expectation always leads to disappointment. A better use of this energy is to focus on unconditional love, altruistic endeavors and anything artistic. As with any Uranus activation, this one disrupts the normal flow to facilitate a ‘break to realign’ moment. While sometimes disruptive & challenging, the ultimate result is refreshing in some way. Consider the energy that thickens, gathering for a severe thunderstorm, then releasing buckets of rain, for hours, you sleep deeply and awaken to a bright sunny morning with birds chirping unusually loud outside your window. Got the visual? ; -)) This activation is the necessary challenge that gets your attention that something better is available, if you’re willing to improvise and think on your feet. If you’ve been unusually restricted in some way, you may feel restless. Rather than being reactive to the unexpected shift (within or without), it’s best to take a pause for the cause, step back and try to gain some perspective. Remember to be present, too far in the past can be depressing and too far into the future, and you cause your Self unnecessary anxiety. Breathe, be under the sky, invite clarity about the next step and trust your gut. This energy, while sometimes uncomfortable and often sudden, is very necessary to disrupt any illusions/delusions you may be holding on to. It’s time to express your Self in new ways. This year Mercury Retrogrades through Fire Signs, Sag/Aries/Leo and next year there will be an overlap of Fire & Water which will expand whatever creations we initiate this year. When Mercury extends its stay in that department of your life, you get extra time & energy to review your creative ideas and your most inspired dreams. Fire energy has to be directed or it can cause trouble so knowing your own elemental balance always helps. If you’re naturally fiery, then this may feel like a mixed blessing to you, but it’s really an opportunity to slow down and question if the energy you’re pouring into your ideas, at this time, is well spent or being flushed down the drain. It’s time for a review in the Leo department of your conscious mind. When Mercury is there for an extended time, it’s time to review your individual inspiration, your self-love, your inner joy & playful Spirit, your creativity and self-expression. Are you being as authentic as possible? Who leads your life more often: your ego or your heart? What have you become “too” attached to? And/or what have you become “too” detached from (and need to reconnect)? We have spent recent months navigating the Mutable energy of thought & ideas (Gemini), along with the Cardinal energy of action & choices (Cancer), whose theme continues but now the energy has become decidedly Fixed and it is time to anchor something … in your Heart (Leo). What ideas have you gotten going that need some tending to make stronger & more viable? This Eclipse may bring up revelations of when, where and with whom (mostly Self) you have not been completely (if at all) authentic. Start with the *motivations* ~ if/when they are pure/clean/neutral, then being authentic becomes less challenging. But when you are not authentic, things become more challenging. Now more than ever, we must be congruent with our Inner & Outer Natures in order to thrive & evolve. If we are “serving two masters” (or incongruent on one or many levels) ~ having the private side of your nature be too drastically different from that which you present to the world ~ then you’re going to have challenges, blockages and delays until you get into more alignment. Leo energy teaches us all how to BE it (your Authentic Self), not just “appear” to be it; it asks that you know who you are (then next month, Virgo will perfect it ;-)). What has changed on a *fundamental* level (Cancer/Capricorn ~ personal/professional) for you, that has now made you aware of how vital it is to honor your essential nature (Leo/Sun), so you are able to contribute to the whole (Aquarius/Uranus) in a more useful and delicious way? The following was written during the last round of Leo/Aquarius Eclipses in 2008-09 but I remind you here again because we are currently wrapping up the 9-series of eclipses and the theme has already begun to shift into Cancer/Capricorn with the first one 2-weeks ago. It’s time to consciously wrap up the work you’ve been doing over the last 2-years in your Leo/Aquarius departments of life. This is where there has been a shake-up of energy and a break-t0-realign, which may be confusing & unsettling now but will start to make perfect sense (and the benefits of your self-work more evident) in 2019. See if the following rings any bells for you personally but keep in mind that you have evolved and the planets are in all new positions, lending new & different support this go-round. So if you do pick up on a theme or your own personal pattern and want to change it, now is your chance! You have more support than EVER! Both Nodes & Eclipses have 9 and 18 year cycles (9 being the halfway mark; 18 being completion/initiation). So, the current North Node is in Aquarius and 9 years ago, the Lunar North Node was in Leo and the Eclipses year fell on the Leo/Aquarius axis (1998-1999). What shifted in your life that you can look back on and say, “that was fate or destiny” ~ “I was shifted irreversibly, the manner or mode or whatever facilitated the “shift” is irrelevant”. Remember the polarities all work together, so Leo/Aquarius takes its turn every 9 and 18 years to teach you more about your inner light and love, who you are and what makes you special (Leo) … as well as detachment, objectivity and the ability to use your special gift to better your community/your world (Aquarius). During 1998-2000, what did you learn about your core Self, your essential nature that was changing at the time? Now, how have you activated, embraced, embodied, and cultivated your special gift since then? Is it ready to contribute to the community (Aquarius NOW 2008-2010)? This energy is a push-pull between what you think/say you want and how your choices reveal who you really are, between your ego and your will. For some, it can feel like a very confrontational energy that often manifests by awakening you to some deeper truth about your true nature (confronting a new aspect of Self in a whole new way). Of course, confrontations can also manifest with others who have opposing views of you or your situation. This is a personal awakening and a potent midpoint, the most powerful course-correcting time in any cycle, this one being a 2-year Mars cycle (2017-2019). Think about a new sense of identity that emerged in 2017 that you can feel is going to be completely formed or fully developed by 2019. Here, at the midpoint, how is it going? How does your life & choices reflect your true purpose & deepest desire for your life? It is a powerful time, and you will find out what you are made of and if your choices were made from your Higher Self or lower will. You may feel uncomfortable with what is revealed at this time, but you are deeply supported as you recognize your own unconscious extremes and find your new, conscious middle ground. If you find yourself dealing with inner or outer struggles, try to pause and determine the depth of your desire to continue in that direction. Often, we act out of habit and it is time to be truly present. The best way to use this energy is to own any ego issues, put them in perspective and decide to be more congruent with your thoughts, words and deeds. Anytime Pluto’s involved the intensity levels go up and you are able to hear/feel your SoulSelf more clearly than usual. Venus brings up that which is most important to you personally, your individual values & priorities, where your relationships & resources are concerned. This is an easy angle, making purification & transformation smoother than usual too. So, what are you ready to change? How have your values & priorities changed completely in the last year or so? 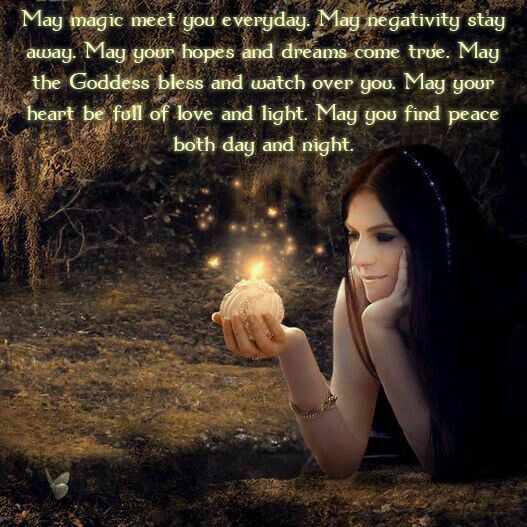 Use this activation to deepen your connection with those you love most and allow the relationship to evolve to a totally new level. If you’re working on your relationship with money or self-worth specifically, this activation is a good time for prayer or ritual that supports positive change and your vision for the future. Pour any intense emotions or revelations into art of any medium or do a vision board but give expression to the depths you recognize as coming to the surface of your consciousness. The Moon today is in a Waxing Gibbous phase. This phase is when the moon is more than 50% illuminated but not yet a Full Moon. The phase lasts round 7 days with the moon becoming more illuminated each day until the Full Moon. During a Waxing Gibbous the moon will rise in the east in mid-afternoon and will be high in the eastern sky at sunset. The moon is then visible though most of the night sky setting a few hour before sunrise. The word Gibbous first appeared in the 14th century and has its roots in the Latin word “gibbosus” meaning humpbacked. The Neptunalia venerates the divine God of the Sea, Neptune. Originally a freshwater God, Neptune acquired his maritime status when we was identified with the Greek Poseidon At Rome, there was a temple dedicated to Neptune in the circus cus Flaminius within the Campus Martius where his festivals were held on July 23 and December 1. Neptune was one of only three Gods to whom a bull might be sacrificed (the others were Mars and Apollo). According to legend, he had a wife whose name was Salacia, Goddess of the salty sea and inland guardian of springs. It is believed that the Goddess Sulis, who is still worshiped at the sacred hot springs at Bath, may have been an aspect of Salacia. Thee, the Rector of the Seas. 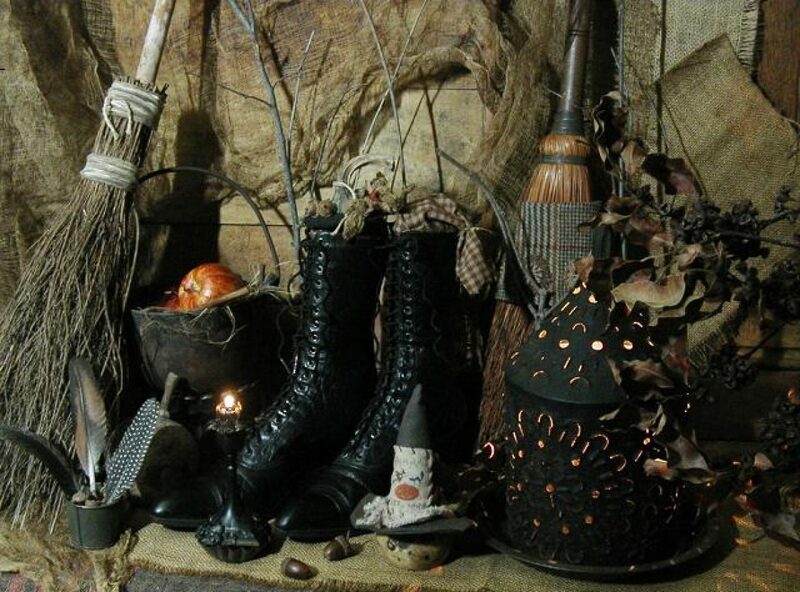 While it seems that a majority of Witches were raised in non-religious families, or else had parents who had left their own families’ religion behind, many do come to the Craft from religious backgrounds. Most were brought up in a denomination of Christianity, but other faiths are represented as well. A religious upbringing can be tricky for an aspiring Witch, particularly for those who grew disillusioned with a faith they once followed, and especially for those whose family lives were strongly infused with their religion. If this is your situation, you might experience resistance to much of what you read and hear about Witchcraft, no matter how much it resonates with some parts of you. This resistance might be subtle or quite active, and can come from a variety ideas that you may have consciously let go of, but are deeply ingrained nonetheless. For example, you might struggle with adopting a new concept of deity, such as the Wiccan God and Goddess, or any of their “lesser” aspects from the various pantheons that practitioners of Wicca and other forms of the Craft follow. You may have had it instilled in you from an early age that the deity (usually known simply as “God”) of your religion is the only one, and that any other deity is completely fabricated by human beings, or else somehow inappropriate to give your attention to. Many sects of Christianity in particular havelong held that anything with the slightest whiff of paganism is inherently “evil,” but this idea is found within the other monotheistic religions as well. So even though you know in your heart that there’s nothing wrong with following a different deity, and doing so in an entirely different way, it can still feel rather strange. You may also have been raised with a concept of deity (usually “God”) as one who is both benevolent and punishing, watching and judging your every action and providing you with plenty of opportunities to feel guilty if you’re not living up to what you’ve been taught is the ideal standard of behavior. In this kind of belief system, a rigid concept of the afterlife is often used as motivation for keeping oneself in line, and the rules involved can run from simple to complex, and from sensible to seemingly random and bizarre. People who leave religions with strict dogma tend to be wary of the word “god,” whether it’s capitalized or not, and are generally resistant to anything resembling “rules.” So when you come across a Witch or a book that appears to take a dogmatic approach to the Craft (such as a fixed arrangement of the altar that must be followed consistently, or some other element of practice that can only be viewed from a specific perspective), it can be off-putting. The concept of goddesses is also challenging for some who have been raised in the patriarchal religious systems of Judaism, Christianity, and Islam, although this is also a major draw, if not the major draw, for many Witches who work with deities. The presence of a divine feminine and the balanced equality between the two genders in many forms of the Craft is a refreshing and welcoming experience for many who come from a patriarchal background. 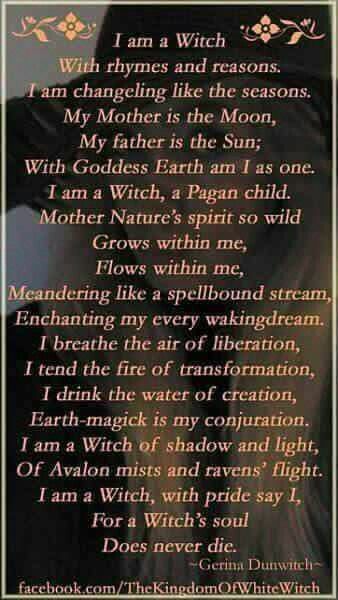 And some forms of Wicca actually leave male deities out of it altogether. Nonetheless, if your former notion of divinity was exclusively male, then goddesses can be a little hard to get used to. 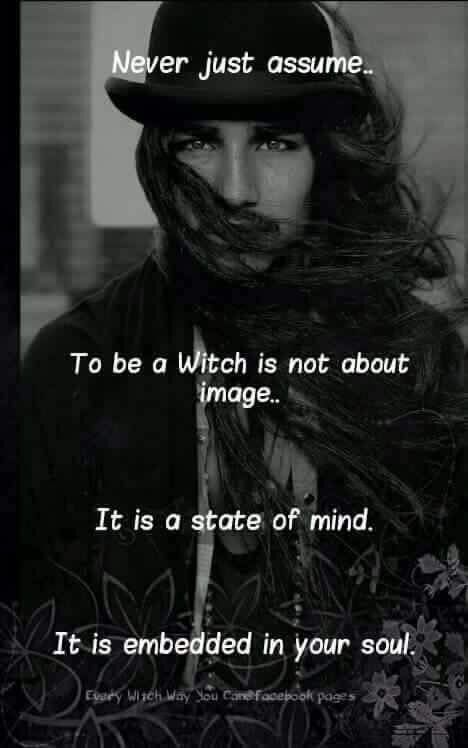 Not all forms of Witchcraft recognize deities, however, and it should also be acknowledged that a vast number of Witches would reject the idea that their path is a religion. 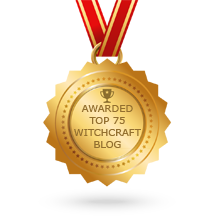 Wicca is officially recognized as a religion in many places, but even some Wiccans decline to identify it that way. 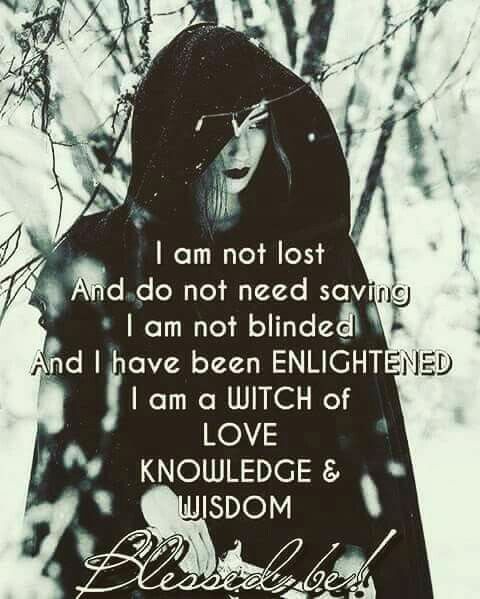 It should also be noted that there are Witches who continue to practice their religion of origin along with Witchcraft and see no conflict between the two—even if most members of that religion of origin would disagree! If you’re feeling called to the Craft, but uncertain or hesitant about how the concept of deity fits with your worldview as a “religious refugee,” know that your experience of this path is yours alone. No one can make you believe in anything, and no amount of worshiping or honoring or invoking a deity is going to make it real for you if you’re just going through the motions because it seems like you’re “supposed to.” Unless you belong to a Wiccan coven that worships particular aspects of the Goddess and God, you really have a wide range of possibilities to explore in this department. If following a well-established path is what feels right, then you may be more predisposed to follow deities that are widely believed in by members of specific traditions. Or you can take the “eclectic” route and build your own practice, which may or may not include deities. No matter how your path evolves, you can let go of the idea that any one religion or belief system is the “correct” one. In fact, it can be very useful to allow for the possibility that the infinite Universe has room for all deities and all beliefs, with no one particular set of ideas being any more correct than another. You can also relax, take your time, and trust that you will find your way when you’re ready. Although some people do end up having a specific mystical or spiritual experience that immediately opens them up to a new understanding of the non-physical world in a particular and lasting way, most of us come to an understanding of our deities of choice (or lack thereof) more gradually. So don’t let mixed feelings about “religion” stop you from following your inner guidance. Know that if you listen to yourself first, you’ll always end up where you’re meant to be.